Sketch for MacOS is a modern form of graphic designing that went to be very popular in world after it was released in 2010. It is now commonly used for web, mobile, UI / UX and icon design. This app has only a few direct competitors but due to the technological exclusiveness which lies with macOS the developers have still not considered t release the app on Windows on Linux. Even though more than half the proportion of graphic designers use Mac there are many out there who don’t and hence Sketch’s Mac exclusivity becomes a problem. This is definitely one of the most popular and feature-rich vector graphics editors presents in the world. It lets you do everything from logos, icons, mobile and web design to sketching, print design and typography. Similar to any other adobe titles its community for tutorials, guides and resources are also both free and paid. Some of the features present also include perspective drawing tools, Sharper tools, dynamic symbols, multiple artboards, smart guides and live gradient editing. If you use the illustrator through the Creative cloud then it can help you bring a few extra features like the cloud syncing, which lets you access your designs from anywhere on the companion apps present on iOS and Android. It also lets you access millions of royalty-free images, graphics and videos which are present in adobe collection. Even though it is great for digital illustration and other general-purpose vector design yet it does not have a workflow for product and interface / UX design. It also lacks the versatility to sketch which is required in this department. 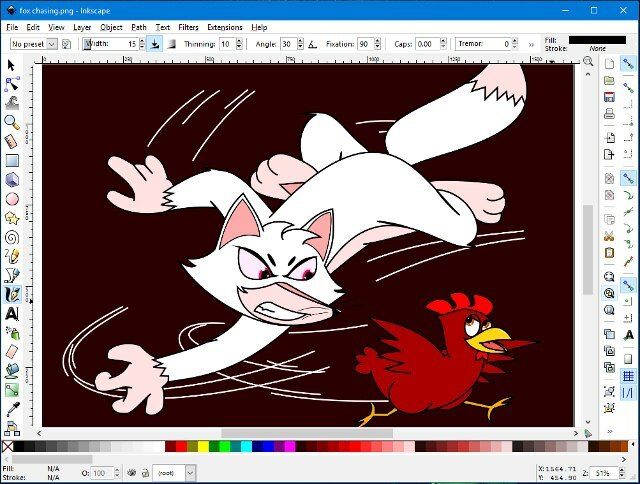 This is a venerable open-source tool and also is a general-purpose vector graphic editor. Even though isn’t as powerful as sketch nor does it have a lot of features still it makes up for its shortcomings by being cross-platform and also being extremely lightweight. 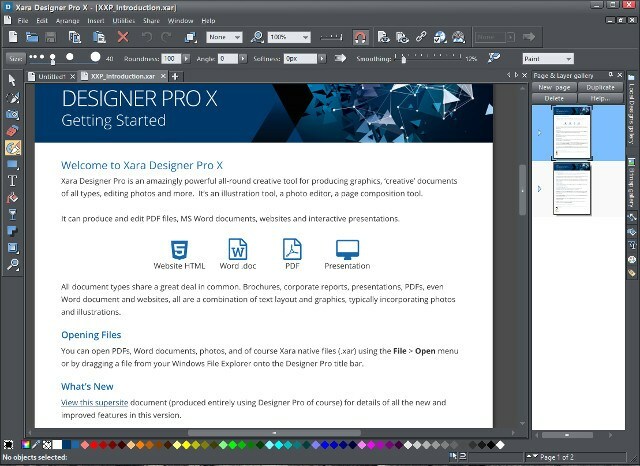 It has support for importing large number of file formats which includes Illustrator, CorelDRAW, Microsoft Visio and Sketch with the help of extension. 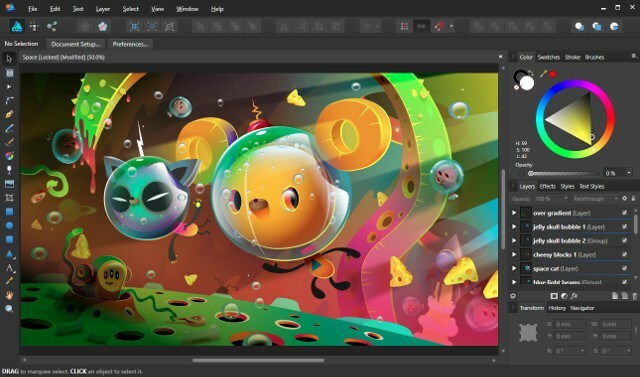 It has features in packs like the flexible drawing tools, including a pencil tool for freehand drawing, a pen tool for creating Bézier curves and straight lines, a text tool, and other powerful tools for illustrations, web design, and general vector image editing. 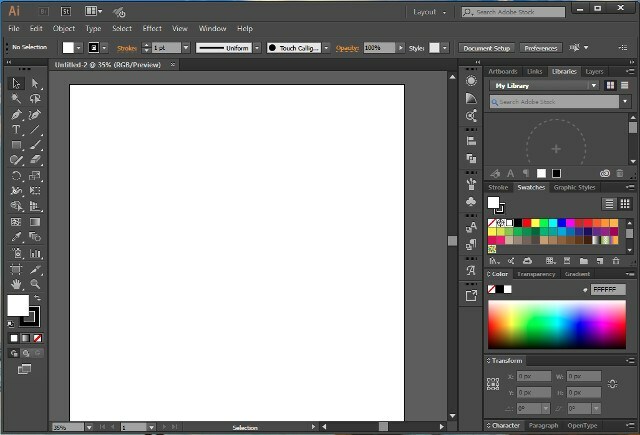 This is a great tool for students, people with older computers and people who have just began to use vector graphic design as it is free and also cross-platform. It has a few additional features, in addition to doing vector graphics, it has full support for pixel design, plus a more powerful and precise Pen tool. Its other feature also includes artboards, overprint, canvas rotation, trim, bleed, crop marks, and many more. Despite all these features it has some of the same limitations as an Illustrator i.e. when it comes to doing UI/UX it does not match up to Sketch. This one is definitely one of the most comprehensive solutions for graphics design. Other than providing for basic support for vector design it also provides tools for illustrations, web design, photo editing and more. Other than these it also has some advanced features which includes Live Effects, non-destructive photo handling, vector masking, layer blending, website creation tools, and support for PDF and PSD file formats. When we compare it to UI / UX design bent of Sketch, it is a more of a general-purpose graphic design application which offers something for almost everybody. It is very conductive towards web designing. All you need to have is a basic raster and vector image editing. It is perfect as it offers a lot of scope and in an affordable price range. One of the highlight features is that you have the choice to buy only the Graphic Design, or Web Design components separately. Note: While installing it offers to install a “PC cleaner” app called Simplyclean, which is marked up to be installed by default. This has been qualified as bloatware and is totally unacceptable for a program of Designer Pro’s repute and price. The reason why it is different from the other programs mentioned in the list as it is a web-based app. Generally, most web-apps are very simplistic and do not offer great performance results but this isn’t the case with this program. It has the added benefit of being cross-platform as it requires a recent version of Mozilla Firefox, Google Chrome or Safari. It also includes tools for screen designing, vector graphics and logo creation. It also comes along with preset canvas sizes and over 29,000 icons along with more than 1,000 stock photos, a curated list of Google web fonts and a community marketplace where you can purchase assets for your projects. It automatically keeps all data synced with the cloud this can also be stated as one of the biggest disadvantages as one can lose all access to the apps and files in case no internet connection is available. Another drawback is it lacks keyboard shortcuts which makes is less preferred by people using native desktop apps. Advantage of the albeit basic web-based vector graphics editor is Boxy SVG. It is available as a Chrome Store app, and also works in Chromium-based browsers such as Opera and Vivaldi. This program of Adobe isn’t a vector-based designed tool and has been discontinued by Adobe’s. Years of neglect towards this program has made it a bit sluggish and is a bit outdated for today’s standards. The interface designing capabilities of sketch are unparalleled despite this Fireworks is still a contender when it comes to web design. Note: This program will not receive updates in future now has received any since 2013 but can be downloaded only if you have an existing Adobe Creative Cloud membership. 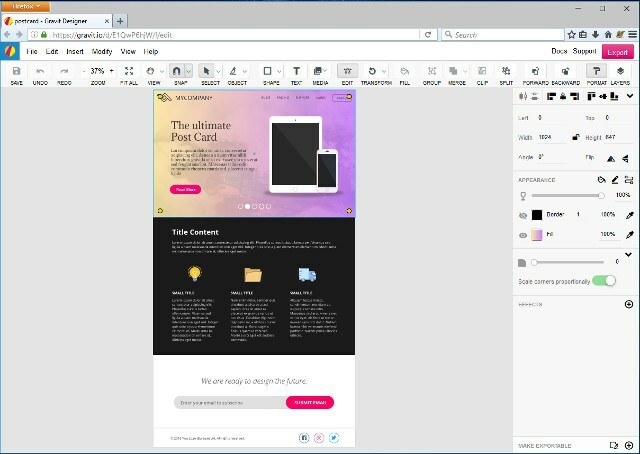 Project Comet now renamed as Experience design is Adobes direct competitor to Sketch. As of now it is only available in macOS but it seems to be really promising and stands for some as the only potential answer to Sketch for UI / UX design. Although the capabilities and workflow for UX and Ui designs of Sketch’s cannot be compared to another yet the above-mentioned vectors are best to be used for graphic editing outside the macOS ecosystem. Even in the interface design domain, things are hopeful to be upgraded with the recent release of Adobe’s Experience Design for Windows.